A non-profit (501c3) supporting Metro Atlanta parents through education workshops and coaching sessions. We share resources and opportunities to help K-12 students reach their full potential. Many of our workshops focus on helping parents learn more about online resources that can help them explore their school options. This has included greatschools.org and apsinsights.org. During our workshops we collect information from parents on how we can improve education to share with community stakeholders and leaders that help to bring about change in our schools. 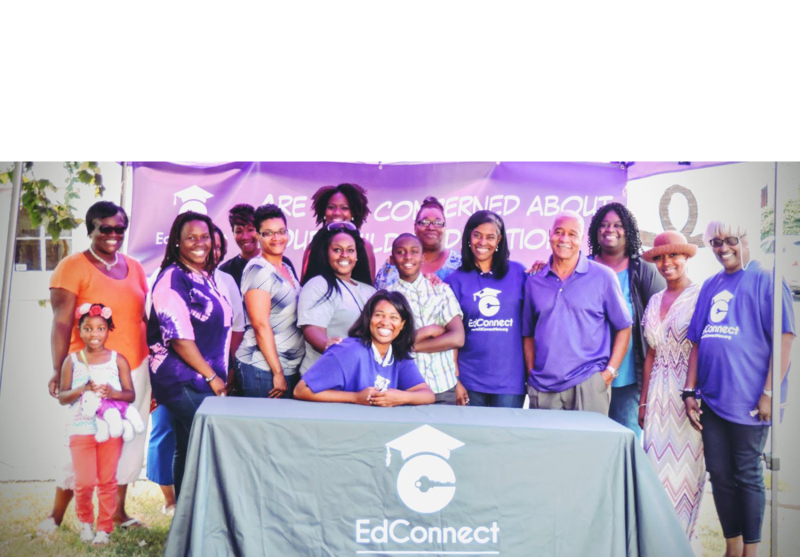 Led by Dr. Danielle LeSure, EdConnect continues to go into communities meeting parents in-person and listening to the needs of families. This has led to the creation of EdConnect’s Parent Coaching Sessions. Here, education professionals offer advice to parents struggling with exploring school options, navigating special needs services, and addressing poor student performance. Our team is made up of three outreach specialists and an assistant, with an ambitious annual goal of reaching 1,000 parents a year. Dr. Danielle LeSure is the founder of EdConnect. Here, she works with community organizations and schools to share resources with parents wanting their children to reach their full potential. Prior to this, she served as the Regional Director for the Leadership for Education Equity in Metro Atlanta where she launched the education coalition ONEAtlanta. Dr. LeSure was the Director of the Center for an Educated Georgia where she conducted research and built mobilizing efforts for school choice. She also worked for the Bill & Melinda Gates Foundation as an Associate Program Officer where she prepared executive briefings in education for foundation leadership. She served as a policy advisor in education for the U.S. Conference of Mayors producing research reports and developing national conferences on mayoral engagement in education. Additionally, she was a Congressional Black Caucus Foundation Fellow serving in the Office of Congressman Chaka Fattah on Capitol Hill. Dr. LeSure has her doctorate in educational policy from Michigan State University and bachelor’s in educational studies from Emory University.